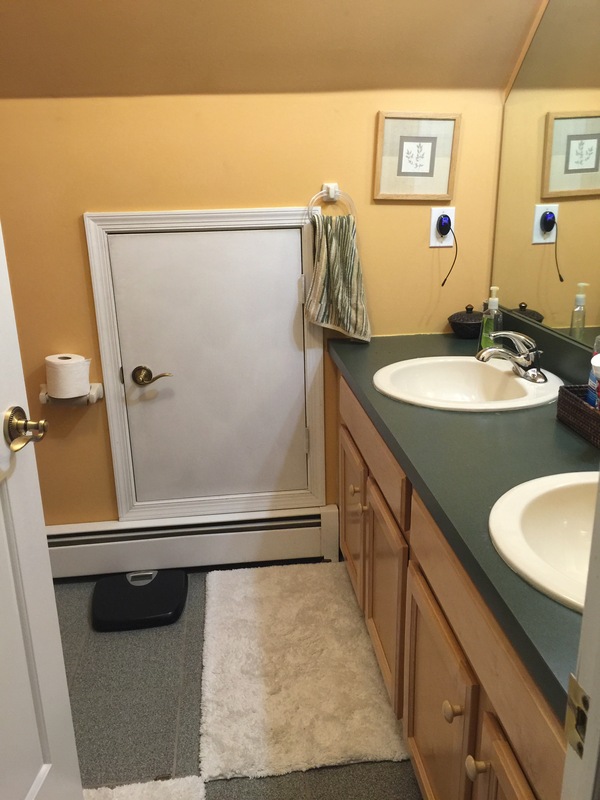 Sometimes tiny bathrooms can be a real design challenge. But the reward for all it’s challenges, is a more impactful result in the end. 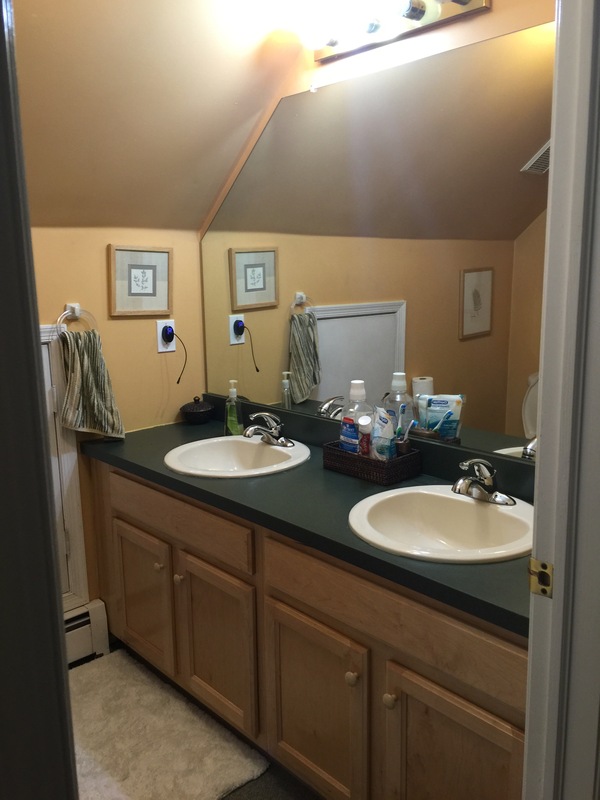 This small bathroom had two sinks with an angled ceiling and an visually distracting access door to storage. The full wall totally enclosed in this small shower. 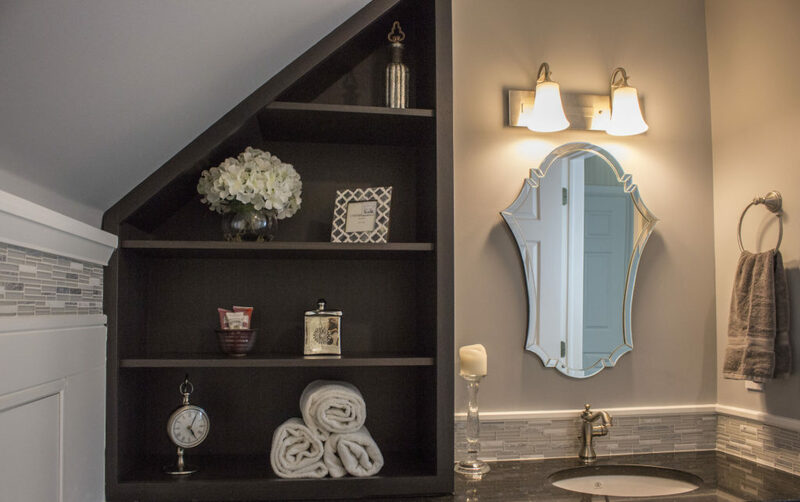 The transformation process began with our decision to have only, one sink and replacing the other with beautiful custom designed built-in shelves to fit perfectly in the space, which really added great storage and visual impact to the space. 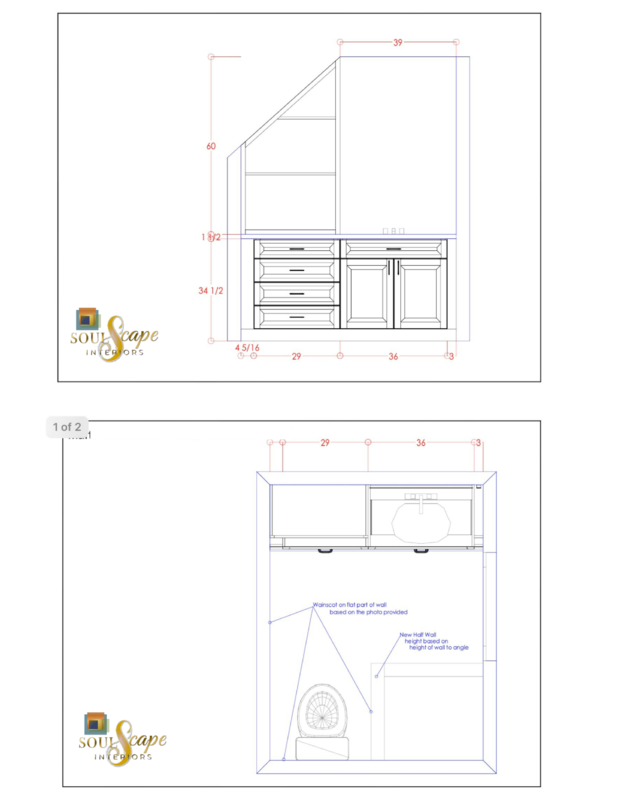 Design Problem: “how to hide the access door”? 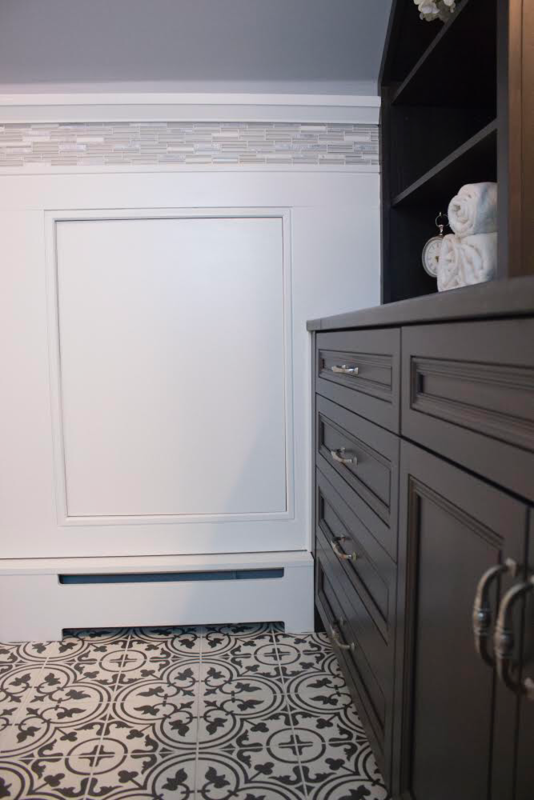 Solution: conceal the visual distraction with beautiful tile inlay and wainscoting panels, that hide the door but still allow access. 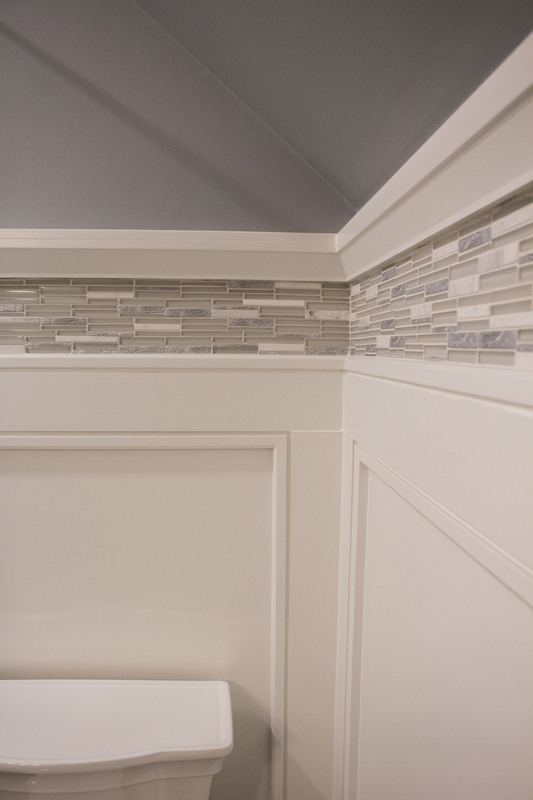 Originally, the shower was enclosed by a floor to ceiling wall, which really made the space seem closed in! 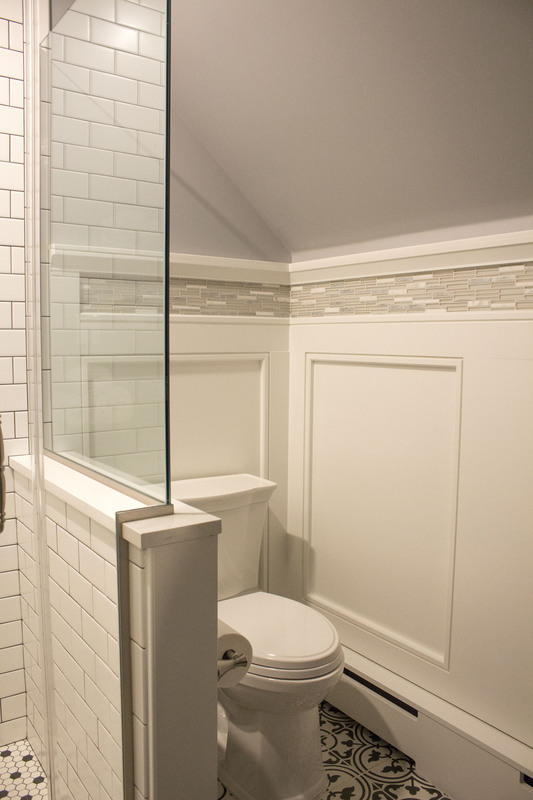 By cutting the wall in half between the shower and commode, then replacing the top with custom 3/4” glass, we created the illusion of more space. 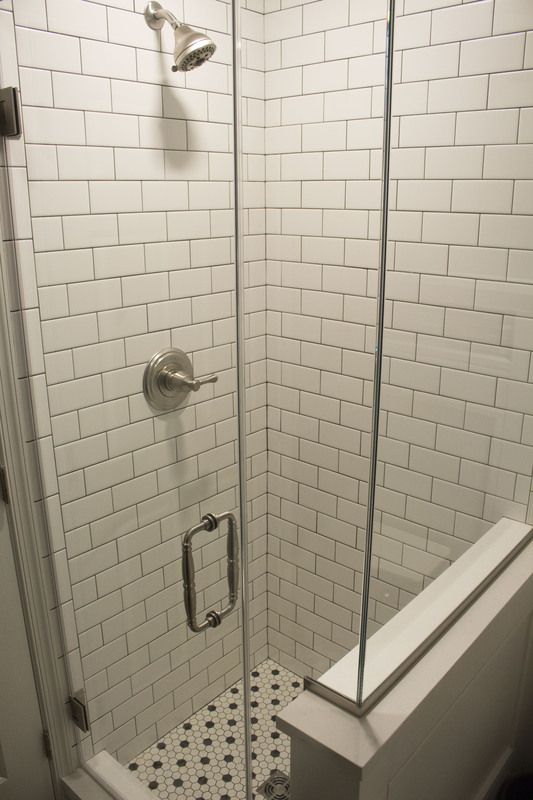 Same goes for the frameless shower door with shower guard. 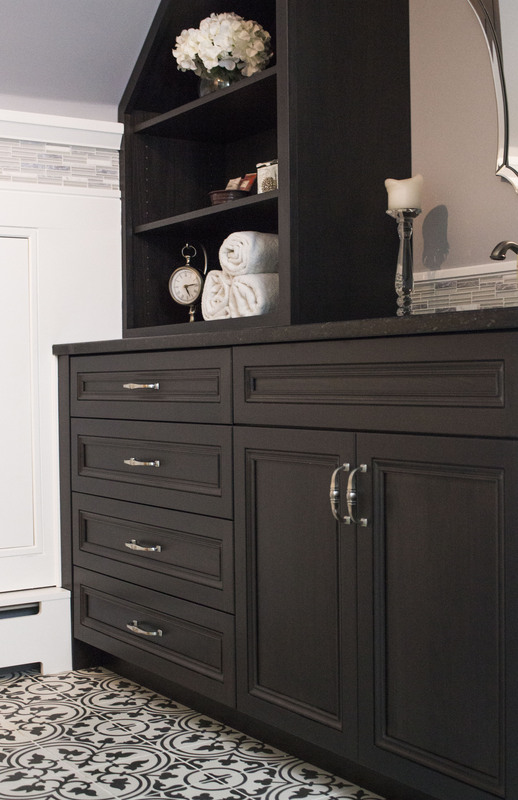 These dramatic changes make this small space a big hit! 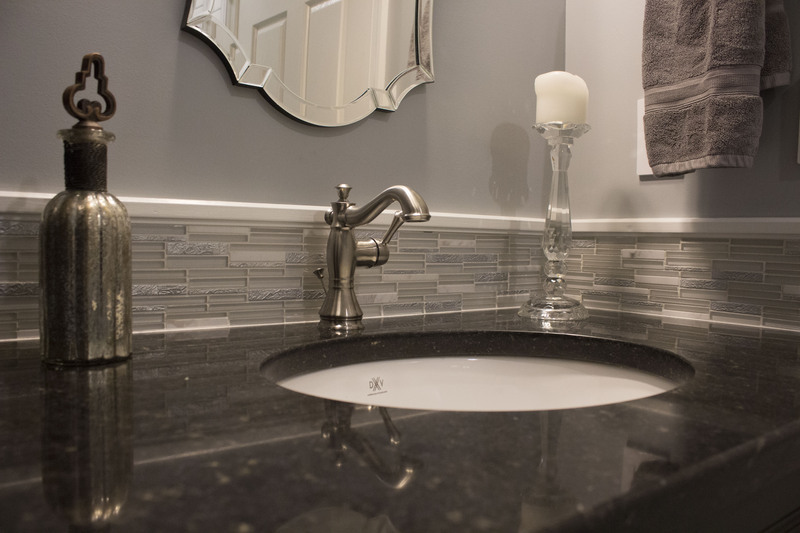 We contrasted the white subway tile with black grout and installed a gorgeous black and white mosaic tile on the floor in the shower for a more dramatic visual effect. 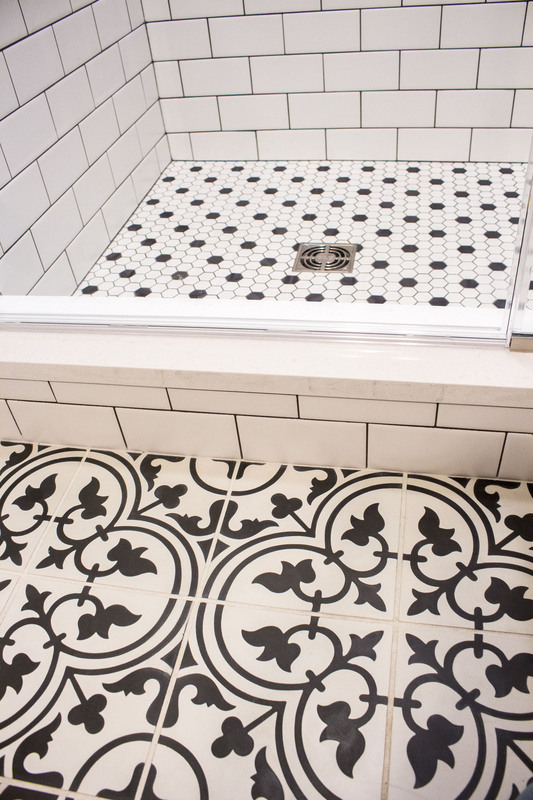 And look how stunning it can be to use different tiles and patterns in the same room! 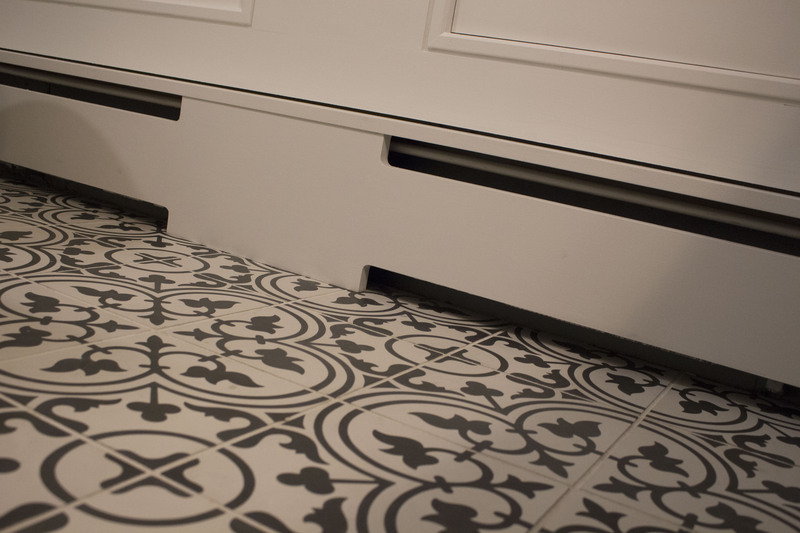 One of our favorite aspects of this project was the Art Deco cement Tile on the floor.